Mastering is often thought of as the "black magic" phase of audio production. And while there is a shroud of mystery around the process, we try to make it more approachable and intuitive for you as an artist. The mastering process is necessary in order to give your musical production that finished, professional sound. No serious artist should submit their work to any agent, manager, label rep, etc, without going through this process. 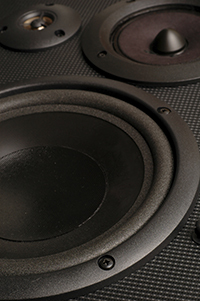 Your music needs to sound good on every type of playback system that someone might use to hear it. Mastering ensures that your work meets that requirement. It also provides your music with a certain signature or style. This is where we really try to capture your vision and turn it into a finished work. Our mastering processwhether on music produced at C2 It or at another studioinvolves the use of specialized equipment and software to prepare your mix for final production. Equalization, Multi-band Compression, Spectral Enhancement, and Imaging are just some aspects of the process that your music will go through. But having all of the right equipment is only half of the story. Mastering requires a well-trained ear. Using our years of developed listening skills, we'll make sure your work sounds as impressive and professional as you would expect. We want your music to stand up to anything that could be purchased at the local record store, heard on the radio, or downloaded online. We think you would expect the same. Please contact us to inquire about our rates and fees for mixing services.